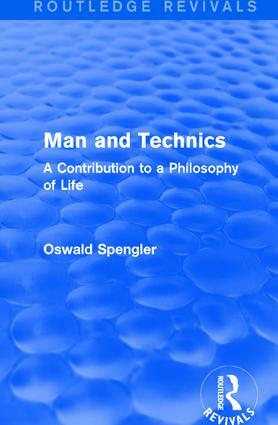 First published in 1932, this book, based on an address delivered in 1931, presents a concise and lucid summary of the philosophy of the author of The Decline of the West, Oswald Spengler. It was his conviction that the technical age — the culture of the machine age — which man had created in virtue of his unique capacity for individual as well as racial technique, had already reached its peak, and that the future held only catastrophe. He argued it lacked progressive cultural life and instead was dominated by a lust for power and possession. The triumph of the machine led to mass regimentation rather than fewer workers and less work — spelling the doom of Western civilization.